Which eCommerce plugin is the better alternative for my blog? With more and more competing premium WordPress plugins it gets harder and harder to answer that question. This article takes a look at two popular eCommerce plugins: It compares WooCommerce with MarketPress in order to help you with your decision in choosing one. There are several other alternatives to WooCommerce and MarketPress on the market which I have compared in separate articles. Go to my main WordPress eCommerce Plugins comparison to start your search. Please note that this comparison only looks at the features on paper as reported by either plugin’s developers. It does not and can not tell you if or how well a certain feature will work for you. Because such a verdict would depend on too many variables, including your server setup and personal preference, I have decided to stick to the hard facts for this feature comparison between WooCommerce and MarketPress. In my comparison I track 50 different features for all the WordPress e-commerce plugins. In WooCommerce you can find 49 out of 50 of those features. MarketPress on the other hand offers 19 out of the 50 features in total. Even if many of the features compared above overlap between the two competing products there is one very important difference: WooCommerce as well as MarketPress both provide a unique interface from which you will build an awesome online store. Since it is hard to rate the quality of such an interface objectively I recommend that you try both products yourself before deciding for one. WPscoop indexes the exact prixing plans of all compared plugins. Please refer to the table below for a quick overview of the prices of WooCommerce and MarketPress. To find the cheaper eCommerce plugin for your individual needs please go to my main comparison article. There you can search for the features you need and then see the exact price you would need to pay for WooCommerce or MarketPress (as well as other alternatives). You can have a look at the Youtube videos below to see WooCommerce and MarketPress in action. That will give you a better idea of how the interface looks and which of the two eCommerce plugins is easier to use. Most WordPress plugins have an option to test their service for free, either thrhough a basic free version, a trial period or online demo. Check if such an offer exists for WooCommerce and MarketPress and if so: Make use of it! By doing so you can compare both plugins directly and find out which one is the better alternative in you situation. But wait, there is more! Besides WooCommerce and MarketPress I have compared several other eCommerce plugins on WPscoop. I recommend you start your search for WooCommerce alternatives or MarketPress alternatives in the main comparison article. There you can filter all different products and search for the features you need. 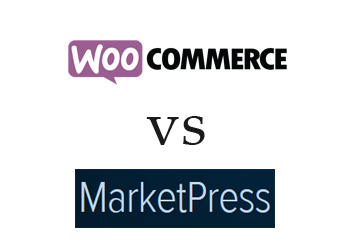 Which one is the better WP eCommerce plugin: WooCommerce or MarketPress? Please share your opinion or experience in the comments! You also missed the features of Marketpress if being used in a Multisite situation… which is where it outshines Woocommerce day in – day out. Marketpress now allows PDF invoice, so you may need to update your comparison chart. Great work btw. I want to thank you for all the work you put into this comparison. As someone who is trying to decide on which services to use, I find your info very useful. Still can’t decide which to use, but this definitely give me more facts to compare. Thanks Bill, glad you found the comparison useful! I think you may have also missed the point of the article . . . 42 of the 49 “points” you listed for WooCommerce are paid addons, giving them 7 out of 50 out of the box. People looking to compare these 2 products are likely looking for a starting point, and you even frame your article with the concept “to help you with your decision in choosing one”. Without any personal experience with either, the article could have been shortened to two links, the features page on each developer website. Not really any valid comparisons, should be titled “WooCommerce & MarketPress Feature List (as reported by the developers)”. Also, not a “scoop” of any kind, it’s unfortunate when people start churning out the empty content. Seems you have missed the point yourself here. The price listed is a custom result according to the features selected in the search form on the page. Select all the features you need and you get shown the exact price for each product, factoring in all addons, premium versions, etc. For each feature in the comparison table above it states whether it is available for free or as a paid addon. If it is a paid addon hovering over the text reveals the price of the addon. You would be surprised how unclear the feature pages on many developer websites actually are and many other users have already thanked me for the comparisons I provide here. Too bad you did not find them useful but I can live with that. I actually quite liked this article. It was nice to see the feautures of both plugin’s side by side. The only thing I noticed that was missing was details on whether or not they support customer user accounts which would be nice to know. Other than that I think you did a great job. Have you used either of these plugins yet? I’m currently designing a site but stuck wondering which of the two is better for creating custom templates. That and if my client wishes to expand the site later on, which would have all of the necessary features he may or may not need. Thinking about it now I guess woocommerce would be better, he’ll just have to miss out on some of the free features offered by marketpress. You know, all the features that you say marketpress i missing is because you dont understand the plugin. The missing features in marketpress is not missing, you just use the normal WP plugin. Example:Ratings and reviews, for marketpress you only install the standard review plugin for wordpress and it works with marketpress. NO special addons, its made to work with normal plugins so you dont need to buy custom plugins for 1000$ just to get started. You are missing the point of this article and comparison: I have never used MarketPress and neither WooCommerce. The feature listings here have been checked and verfied by both the developers of MarketPress as well as WooCommerce – that means if any feature were or is missing they can tell me so, point me to where information about the feature can be found (such as documentation, a sales page or a video) and it will get added to the comparison above.